Announcing Waseca Public Library’s 2016 Summer Concert Series! 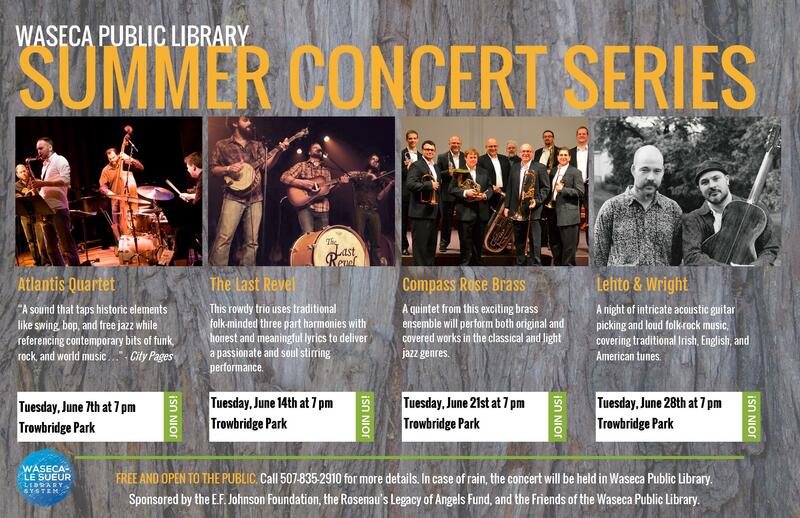 Waseca Public Library’s second summer concert series will once again take place in Trowbridge Park. This library-sponsored series will bring a variety of music to the community on Tuesday nights at 7 pm in June. Atlantis Quartet will lead off the series at 7 pm on June 7th. This jazz quartet has emerged as a leading voice in the Twin Cities’ modern jazz scene. The group has released four albums and headlined the Twin Cities Jazz Festival in 2014. The Last Revel, known for its rebellious rock attitude and raw traditional instrumentation, will perform on June 14th at 7 pm. This rowdy trio uses traditional folk-minded three part harmonies with honest and meaningful lyrics to deliver a passionate and soul stirring performance. A quintet from Compass Rose Brass will fill Trowbridge Park with originals and covers in the classical and light jazz genres on June 21st at 7 pm. The group most recently released a holiday CD entitled Brass Tidings. Minneapolis folk duo Lehto and Wright will close out the series with intricate acoustic guitar picking and loud folk-rock together to cover traditional Irish, English, and American tunes on June 28 th at 7 pm. Their set list will include “The Rains of Castmere” from Game of Thrones. In case of rain, the concert will be held in Waseca Public Library. 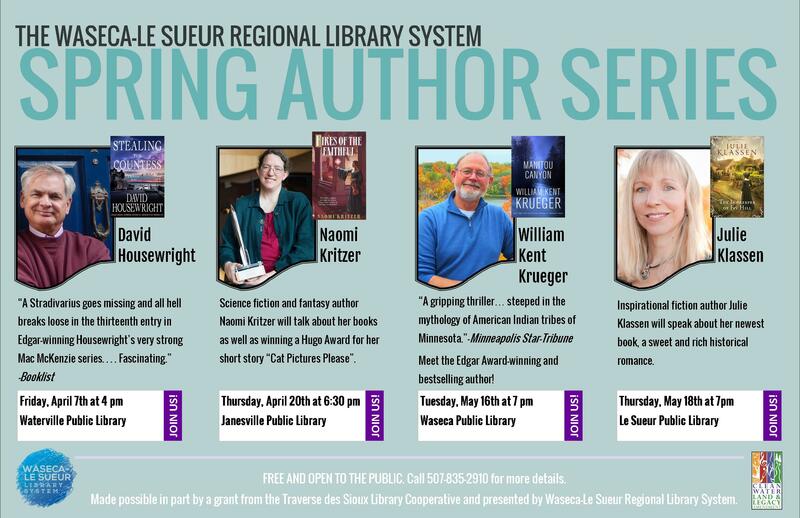 Sponsored by the E.F. Johnson Foundation, the Rosenau’s Legacy of Angels Fund, and the Friends of the Waseca Public Library. 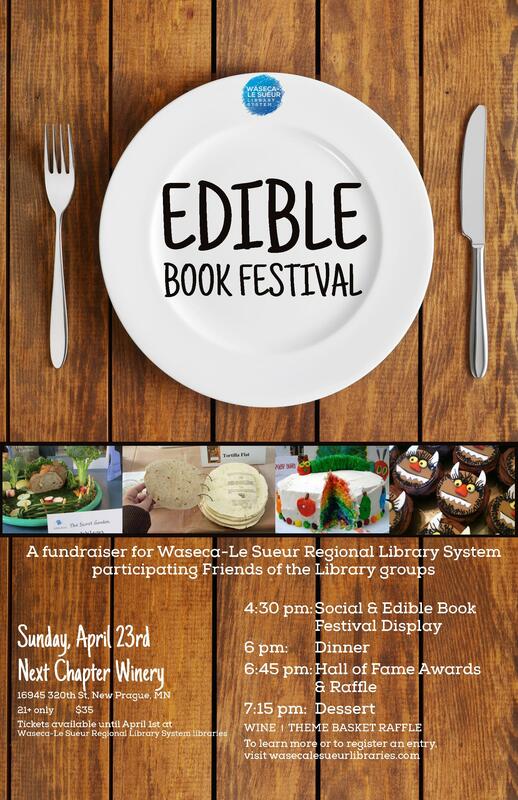 Attend the Edible Book Festival!